The Jaffas and More Mod, created by the developer “monnef”, adds in over seventy new items of food into Minecraft. 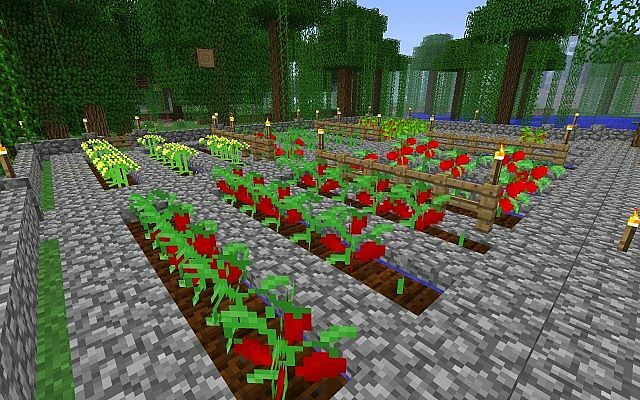 The developer has created new ways to gather food, with the addition of fruit trees and shrubs. The mod is available for installation with client and servers, and is compatible with Minecraft Forge. There is no real way to use the Jaffas and More Mod you first of all need to download it with Minecraft Forge and then you can load up your latest save game. When loading all of the mods features should be automatically enabled. The Jaffas and More Mod adds in a whole new range of food, over seventy new items have now been added. 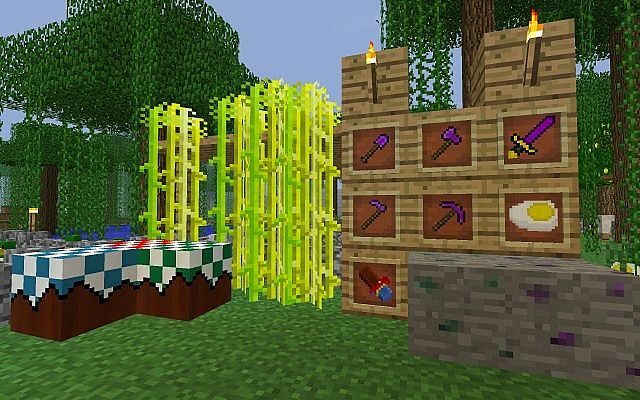 The mod also adds in some new ways to harvest food, with new plant and fruit trees! More unique kitchen appliances to help you with your new food. Only one mob has been added, and it’s a friendly one, a duck! More tools and armour too! Next, download the Jaffas and More Mod and drag and drop it into the .minecraft/mods folder of your Minecraft directory. The latest update for the Jaffas and More Mod corrected some of the bugs and also patched the entire mod so that is compatible with Minecraft 1.8.0. The mod’s developer also updated the textures and graphics for the plants in the mod.